Need more information about booking Home 8728809 ? BEDROOMS: The bed/sitting room has a Double Bed, dining area and a FLATSCREEN TV - FREEVIEW - USB CHARGING POINTS - FREE WIFI is available (subject to availability from Internet Service Provider) - there is a door from this room leading to the small BALCONY where you can enjoy the PANORMAIC SEA VIEWS. The kitchen area has an ELECTRIC HOB (2 Ring) - MICROWAVE - WASHING MACHINE - FRIDGE - please note this property does not have an oven. The bathroom, which has underfloor heating, includes a bath, shower facility and toilet. This accommodation comes with an allocated parking space for one car. ALL ELECTRIC - INCLUDED. Linen & towels included for holiday lets are provided by the owner. EPC Grade: C.
This character first floor apartment boasts a BALCONY and SUPERB PANORAMIC SEA VIEWS to the Isle of Wight, Boscombe Pier and the rolling Purbecks. The apartment benefits from being located just yards from the sandy beaches, pier and Overstrand Development on Boscombe seafront. LOCAL AREA: Located between central Bournemouth and Christchurch, Boscombe is the glue in which moulds these two popular parts of Dorset together. With a popular high-street full of eccentric independent shops, bars, and home to the 02 arena which boasts an impressive line-up all-year round, Boscombe has a unique nightlife of its own. If you’re looking for something a little different, head over to ‘Café Boscanova’, a quirky eatery that sells the best vegan Breakfast in town, and turns into a cool hub for live acts during the evening. You may want to stroll into Bournemouth town centre of an evening and soak up the cool and contemporary entertainment that the town has to offer; from Cocktail bars set along the beach, to an array of independent bars and eateries, it’s a short-distanced trip worth taking. Never too far from Bournemouth’s seven miles of award-winning blue flag beaches, the real charm of Boscombe lies at the seafront. After undergoing a regeneration program, this is the location for those who enjoy the active lifestyle. From kite-surfing, windsurfing, wake-boarding, skim-boarding and even SCUBA-diving, Boscombe Spa Village is the one to hit. So grab a board, paddle-out and catch some waves. Also nearby are the wonderful Boscombe Gardens offering crazy golf, sports play area and a children's play and splash park. Boscombe High Street is within walking distance with a variety of shops, cafes, restaurants and other entertainment. A stroll along the beach gives access to the delights of Bournemouth town centre where awaiting the holiday maker is an exciting array of entertainment, shopping and dining choices. For those looking for just a little bit more the New Forest, Studland and Corfe Castle lie just a short drive away. This Apartment has 1 bedroom, 1 bathroom and sleeps 2. It’s been listed on Holiday Lettings since 25 Apr 2017. Located in Dorset, it has 1 review with an overall rating of 5. The average weekly rate is £449. First time ever to dorset.... this place is amazing! 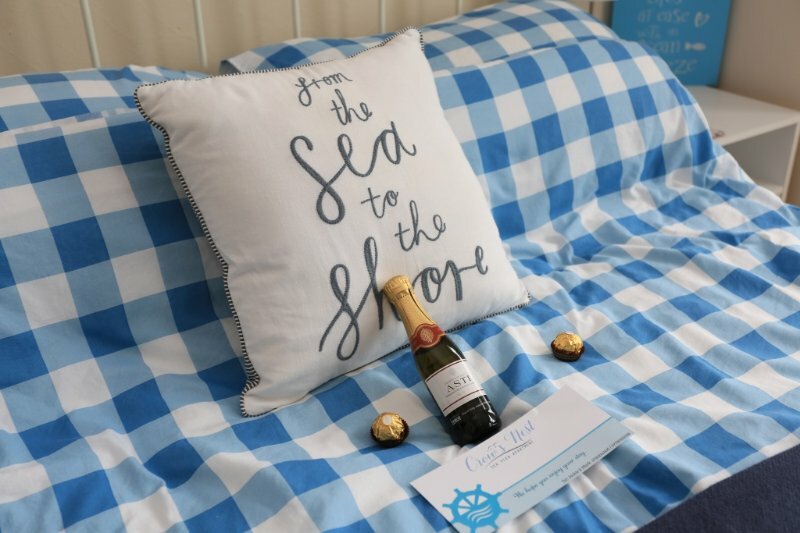 The flat is fab, perfect location for the most beautiful views to the beach and pier, it is everything and more for what you would want in a holiday rental, we will definitely be returning! Response from the manager Hi Jenny, thank you for your review. It's lovely to receive such positive feedback and we look forward to welcoming you again if you return to the area. Best Wishes, Bournecoast Holiday Agents.